Infinite Bridge is a jetty originally part of the art exhibition "Sculptures by the Sea". 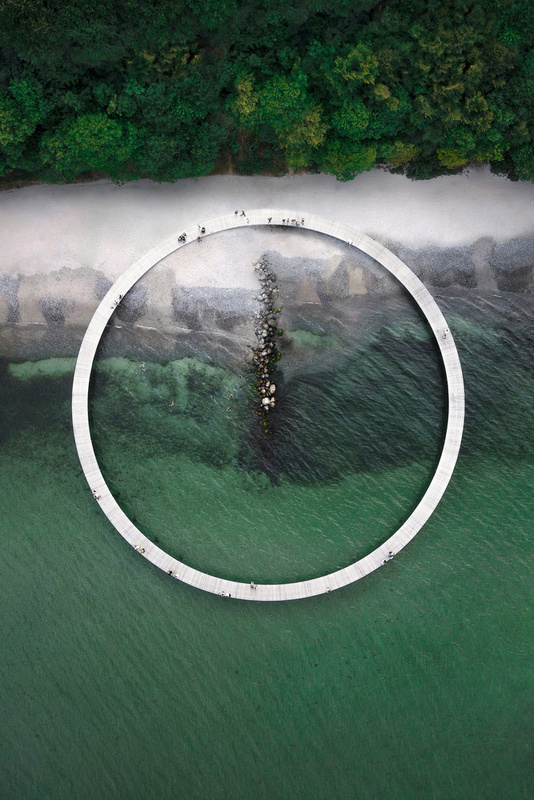 It was so popular they made it into a permanent installation along the water just south of Aarhus in Denmark. It's an obvious location for drone photography and after a lot of cleanup in Photoshop this is the final result.